Whether you love Romeo and Juliet’s enchanting yet doomed romance, the murderous drama of Macbeth, or the backstabbing of Julius Caesar; the work of William Shakespeare has captivated and inspired people all around the world for over four centuries. The spirit of the greatest writer in English history lives on through his many plays. And fortunately, there are plenty of excellent Shakespeare attractions and activities across the UK where you can learn more about the man, and revisit some of your favourite moments from his distinguished depictions. Although we don’t know exactly when he was born, we do know where baby William came into the world. You can visit Shakespeare’s birthplace in Stratford-upon-Avon, which is also the house where he grew up. 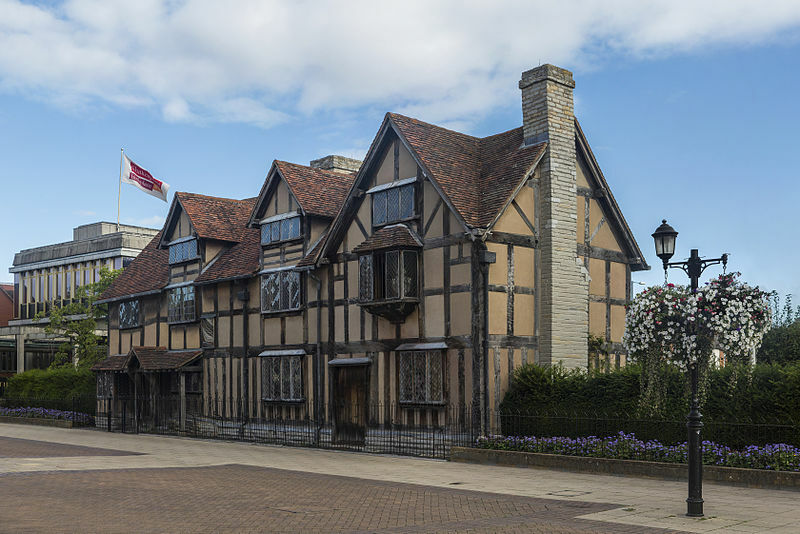 It’s one of the top Shakespeare attractions anywhere in the world, and you can hear about his family life, enjoy live theatre and see rare artefacts in the flesh. Don’t miss the Royal Shakespeare Theatre while you’re in his hometown too. Stratford-upon-Avon is around a 50-minute drive from both Jurys Inn Birmingham and Jurys Inn Cheltenham. Shakespeare may have died on 23rd April 1616, but that date marked the beginning of his legacy. The playwright’s work has infiltrated and influenced all aspects of our lives, from the language we use to the way we express our feelings of love and grief. You can see where his body was laid to rest over 400 years ago at the Holy Trinity Church in Stratford-upon-Avon. There, you’ll see the inscription the man himself is believed to have written, laying a curse on anyone who moves the bones - so don’t be tempted! The modern Globe Theatre is a reconstruction of the original open-air Shakespearean playhouse which was built in 1599. It stands just over 200 metres from the original on the south bank of the River Thames, and is a site of pilgrimage for literature lovers. Since it opened in 1997, there have been many workshops, lectures and staged readings, not to mention atmospheric renditions of Shakespeare’s productions. If you’re in London, it’s an absolute must. The Globe is just over 10 miles from our London Croydon hotel, while it’s a little bit further to Jurys Inn London Watford. Both are just a few stops along the London Overground from all the capital’s big attractions. Every year in March, Shakespeare Week encourages schools, children and their families to get involved with continuing their own Shakespearean adventures in their local area. The national celebration’s a great way to introduce children to the wordsmith’s works, with Tatton Park in Cheshire one of the main outposts each year. Book a stay Jurys Inn Manchester and head out of the city into the Cheshire countryside to visit Tatton Park. Recreate the Globe’s open-air magic at this festival which runs for 8 weeks from June to August. With the historic Oxford Castle rising up around you, 2018’s offering includes Othello, Much Ado About Nothing, A Midsummer Night’s Dream and Romeo and Juliet. You can book online and add a picnic pack to your order, with the option to add a bottle of prosecco too. Oxford Castle is just a 10-minute drive or 50-minute walk from Jurys Inn Oxford, so it’s the perfect place to stay if you’re going to the festival. In Shakespeare’s own words, ‘the course of true love never did run smooth’, but we’re sure this won’t apply to your stay at Jurys Inn.